Ford India recently launched the Endeavour facelift in the market. Soon, the American manufacturer will launch the facelifted version of the Figo hatchback in the market. The updated hatchback will take on the likes of Hyundai Grand i10 and Maruti Suzuki Swift in the market and it will be launched in March 2019. 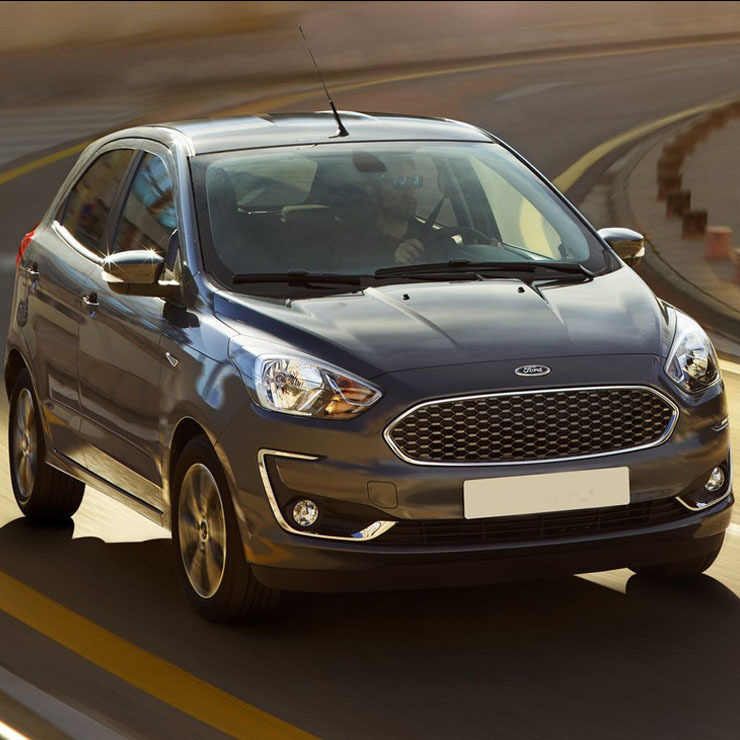 The updated version of the Figo is already available in many international markets and it goes by the name of Ford Ka+. Interestingly, Ford launched the all-new Freestyle in the Indian market last year based on the facelifted Figo. Ford also launched the facelifted version of the Aspire, which is the sedan based on the facelifted Figo. According to ZigWheels, it is now confirmed that the facelifted Figo will be launched next month in the market but the exact date of the launch is not known. The new updated Figo will offer a fresh face with a new front grille, which is similar to the Ford Freestyle and the Aspire. There will be a new bumper with new fog lamps with chrome insert. It looks much more premium than the current version of the Figo. It will also get bigger and better-looking 15-inch alloy wheels. Apart from the visual changes, the upcoming Ford Figo will get the engine. It will get the Dragon Series 1.2-litre, three-cylinder petrol engine that debuted with Freestyle in the Indian market. It generates a maximum of 96 PS and a peak torque of 120 Nm. The petrol engine comes mated to a 5-speed manual transmission. The diesel variants of the upcoming Figo will continue to use the 1.5-litre turbocharged diesel engine that generates a maximum of 100 PS and a peak torque of 215 Nm. It gets a 6-speed manual transmission. It is not known if Ford will offer the automatic variant of the Figo with the update. However, if Ford may continue to offer the 1.5-litre, three-cylinder engine that generates a maximum of 123 PS and a peak torque fo 150 Nm which is available with the current version of the car. This engine may only be available with a 6-speed torque converter transmission just like the Ford EcoSport. The 2019 Ford Figo will get a series of cabin updates, which will make the cabin more equipped and add a premium feel. The upcoming Figo is expected to get new features including rain-sensing wipers, automatic headlamps, climate control and a new 6.5-inch touchscreen infotainment system with the latest SYNC3 technology. The new SYNC3 system is quite an update over the SYNC2 system, which is currently available with the vehicle and also features Android Auto and Apple CarPlay infotainment system. It is not known if Ford will launch the sportier ‘S’ variant of the Figo with the facelifted version of the car. It offered re-tuned suspension, which offers a much better response. However, just like the Aspire, Ford may launch a CNG version of the upcoming Figo.